[OPINION] Tax On Firearms: An Idea Worth Pursuing? As an elected official, I’m acutely aware of the need to reduce local tax burdens – this year more than ever due to changes in federal tax law. But I can’t shake an idea I’ve had for a new, local “Pigovian” personal property tax on firearms. Maybe you can help me figure out whether it is an idea worth pursuing. Pigovian taxes correct inefficient market outcomes and are favored even by conservative Republican economists. By taxing an activity/ownership that has societal costs, a Pigovian tax shifts some of this “external” cost (an “externality”) back on to the property owner. In addition, the revenue raised could fund measures designed to mitigate these social costs. Westport residents own over 6,000 firearms. Likewise, the number of registered firearms has been mentioned as one of many reasons for the town to hire School Resource Officers to protect students in our public schools. Some economists have even estimated that the average annual marginal societal cost of gun ownership is up to $600 per household. Assuming an average $500 assessed value for each of the 6,741 registered firearms and using last year’s mill rate, the tax would raise over $56,000 each year for local safety and mental health initiatives. Would the tax be Constitutional? Generally, taxes need only be justified by a rational governmental purpose. This is a low bar, and – especially with respect to Constitutional issues – a much lower bar than what would be applied to a regulation regarding gun ownership. In fact, a Washington State Supreme Court recently deemed constitutional a different type of local tax on firearms. The tax would be set at the mill rate, and at 16.86 that equates to a tax of of less than $9 for a $500 gun. This doesn’t seem confiscatory or excessive. The $9 is meant to fund local social programs as a complement to gun ownership – and not meant to limit access to firearms in any way. Does the town have the right to levy a personal property tax on guns? Under Connecticut General Statutes Sections 203–204, Connecticut towns have the right to tax personal property subject to a long list of exceptions. There doesn’t seem to be any sort of exception related to firearms. Would the tax lead to more unregistered firearms? This is an important question, and I’m not sure of the answer. It does appear, however, that the state of Connecticut requires sellers to report all firearm sales to local law enforcement. Is Westport willing to burden the potential risks of being an innovator here? It is possible that the tax might be challenged, though perhaps a large law firm might donate legal services for its defense (any volunteers?). If not, legal costs might exceed revenue for at least the first year. It has also been suggested to me that Westport might receive national attention if it is the first to implement a personal property tax on firearms, and that’s not the kind of attention that the town wants or needs. Christine would like to know what you think. Click “Comments” below. This entry was posted in Economy, Local politics, People and tagged Christine Meiers Schatz, firearms tax, Gun legislation, personal property tax, Westport RTM. Bookmark the permalink. I think it’s a terrific idea Christine, but it seems to me that the tax might be better implemented at the state level. The idea of taxing externalities is very sensible but I wonder if the “costs” (e.g., unwarranted attention, township distractions with potential court cases, etc.) would overcompensate for any potential benefit, especially since the expected revenue is quite small. I can think of no activity that produces more external costs than does having children. Maybe there should be a Pigou tax on having children. Another imbecilic comment from you. No surprise. Out of the box idea for sure. I think the issue is privacy. Only California has a database of gun owners and it’s not available to the public. If we were to charge annual property taxes on guns, that information would be public and could subject owners to harassment. This worries me too. But the police already have a database of 6,700+ registered weapons in Westport (see http://www.westportnow.com/index.php?/v3/comments/chief_koskinas_talk_needed_on_rise_in_westport_pistol_permits_mental_health/), and that information is not subject to FOIA. Perhaps the same FOIA exception could be extended to any guns on the grand list as well. Great idea. Let’s have both a State and local tax. I like the idea of taxing firearms. It’s innovative and whether it’s our town or state, I think it’s worth exploring. However I think the Police Chief doesn’t fully understand mental illness. In terms of gun violence they are two separate issues! Why don’t we have a poll tax too?! Gee what a surprise, let’s jump right to a tax, so danny malloy can have more to throw into the firepit. While we’re at it, let’s tax our kids’ bicycles too, average price is probably in that same $500 range. Also don’t forget to tax running sneakers, since the people who jog around here make the streets pretty dangerous too. I’m curious, what’s the method for determining what property should be taxed and what property not? Hi Rob, this would be a local tax so that the town could spend it on accompanying social programs or safety measures that we think make sense. The funds would not go to the state. Thanks for doing the work on this…. Forgive me Christine, I was responding to a comment which noted this would likely have to have done at the state level. You mention the Connecticut (state) statutes, so seems there’s a little comingling here. I don’t doubt the noble motives here but again I must ask what factors are used to determine what personal property should be subject to a tax. Seems a very subjective slope to slip/slide down. I’m suggesting this tax at a local level only, for what that is worth. That way each town can decide how best to use the funds. The state statutes limit what municipalities can tax as personal property and there are a lot of limitations in there, so I’m not too worried about a slippery slope. Guns don’t happen to be in the list of exclusions. I’m sure just as there are many limitations, there are many items which indeed could be taxed — to be clear I do not have the time right now to peruse the list, but I will do so this evening. So I ask once again, what criteria are used to determine what personal property should be taxed? Are there any other eligible items for which you would be in favor of such a property tax? Also on a slightly different point, somebody here mentioned domestic violence as a reason for this tax. If this would solve domestic violence I’m pretty sure many folks would be in favor of it, but I hardly think a nine dollar annual property tax will be a deterrent to those hellbent on harming their spouse/partner. Rather than a tax on fire arms, which may or may not be a valid position, but perhaps the tax on ammunition should be much higher than it is. Sort of like tobacco, or liquor. [Mostly tobacco.] If the tax, federal, state, or local, were great enough, you wouldn’t be “infringing” on anyone’s “right to bear arms”, but it might keep excess ammo out of the hands that don’t need it. Just a thought. Perhaps full of holes, but just a thought. I’d love a debate on that. I think Christine Meiers Schatz has a great idea here. We pay property taxes on our cars, so why not on firearms? The monies can, as she suggests, be used for safety and mental health issues. But this is important – it’s not a question of mental illness that is the predominant problem here. The rampant scourge of gun violence in our country, not just mass killings, is the problem, with the operative word being guns! 78% of Americans do NOT own guns, according to new reports. Domestic household gun incidents alone would justify such as tax. Therefore, while mental illness as a whole needs more funding generally in our country, and this tax could aid a bit, the primary focus should be on safety and gun common sense. And if Westport got national attention, that would be terrific – it might inspire other towns/states to do the same. Let us be led by these inspirational teenagers who are taking these issues head-on. They can change the world, and we should help in our own ways! I think this is an idea worth pursuing. I am stunned by the number of guns Westporters own. Not sure there is anywhere in Westport where hunting is allowed. Why are so many guns needed? Please keep the conversation going. We were one of the first to ban plastic bags. Let’s get another feather in our cap!. This tax is peanuts and punitive. If the objective is having money to help, and be first in the nation! Force all Westporters to contribute using square footage as the tax basis for this program. This would be far more inclusive and also show interest in reducing each global footprint. This would be an excellent news story. Thanks for your feedback! Do you also think that the personal property tax on automobiles is punitive? I wonder how many of those Westport kids who “marched for their lives” this past weekend, went home to a house with a gun in it. Just a few thoughts: 1. As Sherri mentioned, we do not have an adequate handle on the mental illness/mental health question. Who will determine “health”? Many of us have something but few of us are dangerous. How will we determine risk? Today the person is just anxious tomorrow agitated, then …? Mental health is not static. 2. Recognizing that I am not a gun owner, nor do I feel anyone needs a weapon intended for war, as a hobby gun, however, even in our community there are those who count on hunting to supplement their family diet and I don’t think those tools should be doubly taxed. I am not sure you can tax someone for owning a tool, beyond the tax at purchase. You buy a shovel you pay a tax, but you don’t also pay a tax for owning the shovel. 3. Why not work on the real issue, which is ownership of guns intended for murder? Leave the hunters and and ownership of simple guns out of the equation and focus on the weaponry that seems to be the real issue. How did Australia do it? Good thought, but tough to define in the way you might like as you probably have the same issue with #3 as you do with #1. How do you determine which guns are intended for murder? My understanding is that most gun related murders occur with hand guns, not assault style weapons. I’m guessing that folks that own hand guns probably have them for self defense or sport of some sort rather than intended murder but they are used by some for that. I’m also guessing that 99% of folks that own assault style weapons also intend to use them for sport rather than murder. You cannot be more wrong! Assault style weapons are for killing people – period!! Moreover, anyone who gets their thrills from shooting these weapons for fun or sport should undergo an immediate psychiatric evaluation!! Practicing the killing of people is not a sport. Christine – you have me thinking – certainly an out of the box conversation is certainly what we all need – may I introduce another concept – insurance. Yes, you can now gasp, but wait a moment, we need insurance to own a home, drive a car – things we are responsible for. What if we had to take out insurance for a gun? If YOUR gun is used, you are responsible. I know, this is not perfect, just a thought. Unfortunately, there is a federal law against requiring insurance on guns. The NRA controls Washington and probably big parts of Hartford. So local action is needed. For a Pigovian tax to be efficient, you must be able to measure the externalities accurately. It can’t be a perfect Pigovian tax anyways because the rate has to be the same as the mill rate set by the town (and not a rate that would capture the full externality). But if there is a negative externality of at least 1.686% x the assessed cost per gun, the tax helps put this cost back on the owner of the gun. In theory, that seems like a success to me. But there are lots of other real-world factors to consider. Actually the tax would fall on the owner of the gun, but the cost would fall also on the manufacturer of the gun. The Pigou tax raises the cost of the gun to the buyer, thus shifting the demand curve; reducing demand ceteris paribus. That’s true. But it still seems like a good (theoretical) market result as long as any negative externalities are at least 1.686%. Another moronic statement from you…. Ban on all assault-type weapons, weapons based on military arms, high capacity magazines and the manufacture and sale of any aftermarket parts designed to increase the capacity or fire rate of any gun. Mandatory federal life sentence with no chance of parole for any violation of the license law or intent to commit, or act of, domestic terrorism. Of course this plan would never stand a chance with Congress nor our country as a whole because common sense isn’t very common any more and the reasonable majority in this country have abdicated their responsibilities to the immovable minority on the far left and right. Until the majority rise up and demand compromise instead of leaving it in the hands of people who’s only interest is winning, we will never see the needed and major changes. The tax not only will produce nothing meaningful financially for the town, it will do absolutely nothing to satisy anti-gun folks, presumably who this is meant to satisfy. Christine I’m sorry you cannot point to one other piece of individual property you feel would be an appropriate candidate for this sur-tax. Apologies, I meant to add it will do absolutely nothing to solve gun violence. Zero. Yes, Christine, I understand. But exactly when do we draw the line and stop expecting hard working citizens to bail out our inept and greedy politicians? We soon will be bailing out the State from our local taxes. Let’s also put tolls on the highways to bail out the State, let’s legalize gambling and marijuana to bail out the State & Fed, now let’s throw another tax on people to cover for the stupidity, greediness and corrupt government system that continues to pocket huge sums of PAC money and contributions instead of protecting the weakest citizens among us. Why not tax Tesla owners since they are skirting the gasoline tax used to maintain roads? Our elected officials can’t resolve an issue because of their legal monopolistic stronghold on our government and responsible gun owners should bear the cost? As someone else commented on this blog…address the disease, not the symptoms. This tax wouldn’t be bailing out the state or federal government. It is a local tax on local gun ownership which, at least to me, seems to have negative externalities. We have personal property taxes on automobiles (Teslas too). A negative externality for automobile ownership is wear and tear on the roads. Presumably, some of the funds raised by the yearly automobile tax are used to repair local roads. The funds raised might not cover all road repairs, but they contribute. The funds from a personal property tax on guns could, for example, help fund the SRO program with respect to which you’ve expressed your public support. Or another safety/education/health initiative decided upon by the town. The hypothetical gun tax would not judge gun owners as irresponsible any more than the car tax currently judges automobile owners as irresponsible. It’s not directed at you just as I don’t believe what you opined is directed at me. It’s a general frustration with the perceived first knee-jerk reaction to go in people’s pockets instead of forcing our elected officials to do what is right. It’s the same discussion as to why the SRO program is needed right now instead of waiting on gun control to stop school violence. We aren’t demanding what we should be and instead expend energy in the (possibly) wrong direction. If we had stood up and forced the gun control issue years ago we probably wouldn’t need an SRO program. Again, not directed at you. I am in total support except the tax should be significantly higher. If you don’t want to pay the tax don’t buy the gun! And what of those who already own them? I asume you’re fine with grandfathering them in? Ok, so by my count there have been approximately 200 student deaths in school shootings since and including Columbine in 1999. There were 1,031 fatalities caused by drunk drivers under the age of 21…in 2016 ALONE. (This stat was shared by a friend and I am still trying to confirm it). Clearly the fact legal drinking age of 21 is not positively affecting this dynamic, so, do we raise the legal driving age to 21? maybe 25? Annual alcohol related automobile fatalities for persons under 21 have declined 80% since 1982 (federal law increasing the drinking age to 21 was passed in 1984, and was required to be in effect by 1986, I believe). Total fatalities for all ages has only declined in the same period by 50%. So raising the drinking age does seem to have had a positive effect. See pages 9 and 10 of the report below, which is where your friend may have gotten the 1031 number. Great find Kerry, thank you. I guess that number is correct then. I do not dispute they have declined, but if you believe the numbers you just pointed me to, alchohol-related deaths by those under 21 in 2016 alone outpace student mass shooting deaths by 50:1 on an annualized basis. Where is all the screaming and yelling about this? Where are the suggestions to rectify this? This is NOT just about student deaths by gun or mass killings! There were almost 40,000 gun deaths in the US last year. THAT’S the overall issue! Whether a tax like this is constitutional is a good question, and one that would no doubt be litigated. The costs of defending such a tax against years of litigation that would ultimately go to the US Supreme Court would dwarf any revenues. This alone argues strongly against such a step by a small town. There’s a defensible argument that a tax like this violates the Second Amendment. At least it is not obvious that it does not do so. The infrastructure needed to collect the tax and enforce it could be seen to violate the Fourth Amendment and the Fifth as well. All of these would be litigated. The potential unintended consequences also suggest caution. High tobacco taxes have created substantial black markets in cigarettes. At some point taxes on firearms or ammunition would have the same effect, driving underground much commerce which is today open and, at least to some degree, trackable. The idea of a “mental health check” for gun ownership likely runs afoul of several amendments to the Constitution as well. And I have yet to see anyone who supports such a measure explain how mental health (or illness) would be defined, who would define it, or how due process would be ensured. The opportunity for civil rights violations against groups of people, or vindictive action against individuals, would be tempting to some in power, and indeed such actions would be inevitable. 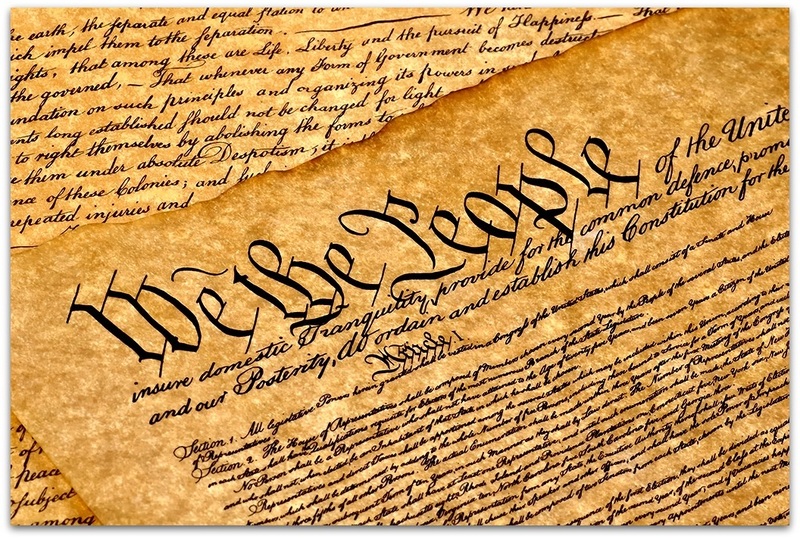 Existing laws might, be clarified to allow the confiscation of firearms (or the prohibition of their acquisition) by people of demonstrable danger to themselves or others, but the due process requirements of such a process would be critical, would not be simple to craft or administer, and would no doubt be less than fully effective. All of which says this is a very complicated topic. For all the press coverage and all the political recommendations, there seems to be very little acknowledgement of its complexity, which is too bad, because the oversimplification and name-calling (as evinced in other entries on Dan’s blog) makes any progress very difficult. I support your taxing idea as a retired Federal Agent. I would have no problem paying a mill rate tax for firearms if I owned them. However, I am curious if the town of Westport was first with this kind of tax what might be the resulting publicity and how might it affect our town. Christine is newly engaged as a member of our RTM and has shown herself already to be very engaging. I think her proposal is an excellent one and she and another on the RTM could introduce the item for review and adoption (assuming that is the local vehicle for the adoption of negative externalities, a great phrase.) I am not sure this establishes Christine as a “helicopter mom” though, unless as I hope, the reference was a compliment. It wasn’t….unless one considers the effects of helicopter parenting…stunting a child’s emotional and cognitive development along with increased levels of anxiety a good thing. Wow, if you folks all had your way the Minuteman statue on the way to Compo would be holding a hockey stick instead of a musket. Yes, I know it’s only a muzzle loading single shot rifle but it was state of the art in its day and if the AR rifle was available then it’s what he’d be holding today. Knowing I’ll get beat up here but feel the need to weigh in on the opposite side of the discussion here goes. I grew up in Westport, was exposed to guns and leared to respect and handle them safely from my father and WWII vet uncles. Decided I didn’t like killing animals but was impressed with the precision and engineering of firearms. Elected to enlist in the Army after Staples before entering college and was a tank crewman. Dealt with weapons every day as part of the job. After college was commissioned in the Air Force Medical Service and did another 27 years. Weapons were still required, especially with deployments to places like Iraq. I resisted purchasing an AR type rifles for years as it didn’t seem like anything necessary. Post 9-11 it seemed prudent to acquire one so I could practice and improve my familiarity with it just like the M9 pistol bought years prior. Now I’m retired and still own these guns among many others. Should I be required to dispose of them since the military is no longer my occupation? I’ve got no plans to do so, but I live in Texas now and these weapons are common so giving them up mean relinquishing tactical advantage to any bad guys who have them. This is why law enforcement agencies were forced years ago to give up revolvers and shotguns- they were outgunned by criminals. It’s nice to fantasize about a utopian world where there are no guns but we know from history that’s an unobtainable dream. Look at the failed war on drugs or prohibition… banning stuff doesn’t work. Taxing firearms heavily will ensure the poor can’t have them but not a problem for wealthy Westport hedge fund managers. Totally agree kids should not be dying at the hands of disturbed classmates or outsiders. They’re soft targets for the mentally deranged looking to make a statement. There’s no easy answer. Tom, it makes me sad to think you’re worried you would get “beat up” here for that opinion! I am a “Navy brat.” My dad was in the Navy for 20 years and now he works for the VA. Thank you for your service! I think what you wrote is perfectly reasonable. The tax idea was not intended to be about bashing gun owners or making gun ownership out of reach for lower income brackets. It is about helping fund social initiatives that would complement gun ownership, and the tax would have to be the mill rate, which is relatively low. The most interesting question to me is why this tax doesn’t seem to exist. If we could find pro bono representation to defend it, it seems possibly worth a try. But I do understand that the town might not want the publicity. I think it is an interesting proposal. It appears the fundamental reason for the tax would be to divert funds to mental health or social programs. Hard to argue such a general statement. It does make me wonder why this line of thought and taxation hasn’t been applied to violent video games or violent movies? If the solution is truly not anti 2nd Amendment, why is the tax solution narrowly applied? Why don’t we tax baseballs too. If struck in the head … potential injury or death is possible. 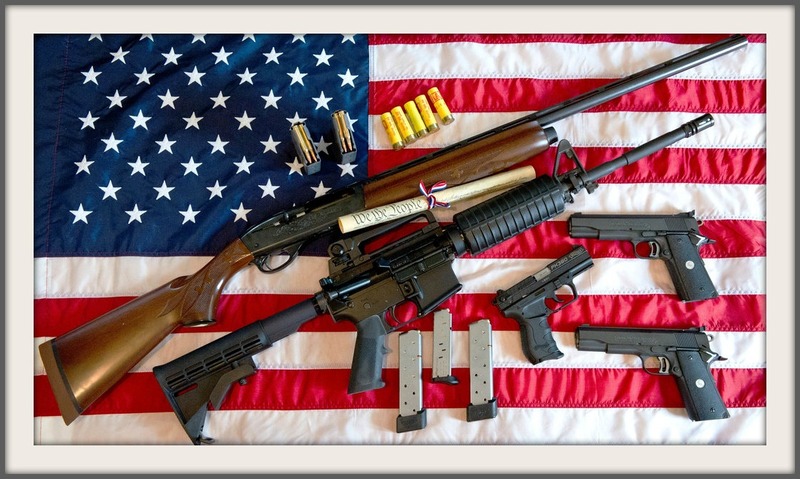 Though a gun collector, I strongly support the tax concept and think a large increase in the tax on ammunition might be the better of the two original and creative ideas……. This is just another feel good idea. The sheer cost of implementing and conducting the system will far outweigh the return. Just for the hell of it ask the tax collector about additional staff requirements for the collection effort. This reminds me of previous road tolls which cost more to collect then the revenue received. But, Hey it feels good to burden all those nasty gun owners! I don’t know where to start on the concept of taxation, but what captured my attention is the number of registered firearms in Westport. That statistic alone should be enough to understand that regulation, let alone taxation, on those who choose to purchase a firearm will be hotly and strongly contested by far more Westporters that I could ever have imagined. The commenter above (a self-described collector) can see the rationale behind the proposal or a variation thereof. Will other owners — collectors or not — be equally open to change? Collectors typically do not fire their weapons so therefore they do not purchase ammunition. I don’t understand what a “registered” firearm is??? Connecticut doesn’t register guns except assault weapons and machine guns. When you sell a gun to someone you are supposed to send a copy of the paperwork to the person’s local police department. I guess the police file the papers somewhere. My guess is there are probably double (if not more) the amount of guns in town than what the police have on record. Great question. As far as I know the only registration is of concealed carry permits that the State Police issue, with local police involvement. I am certain there is no license needed for rifles or shotguns but I am uncertain if the seller is required to file any official paperwork to “register” a long gun sold with the Police. Anyone know the details? They changed the law after Sandy Hook that all private sales (long guns too) need to go through the process and paperwork. You also need to get a permit now to buy long guns and ammo. I don’t know what that process is since I’ve had a pistol permit for 20+ years. I’m sure the town is full of grandpa’s shotgun in the attic and who knows whatever else war souvenirs that no one knows exist. Thanks for the info Jack. I had no idea. Much appreciated. Withut question, Jack Harder is correct, and then some. I would support this initiative to tax firearms as personal property. Having a defined use for the tax revenues, like paying for, or a portion of, School Resource Officers, makes a compelling case. Sometimes I wonder if we are the enablers or the helpless victims of gun violence. We need to do something to change the current state, and I feel that it is going to be challenging to do something at the Federal level so doing something local is how we start changing things. I live in Westport’s district 9, so I kindly ask the RTM members representing my district to support this initiative and see where it takes us. Thank you, Ms. Meiers Schatz, for all your work with the RTM, for thinking of new approaches, and for putting your brave ideas out there. It is amazing to know the number of firearms in Westport. I feel less safe as a result of knowing this. How do we make sure assure that we will never be another Newtown? I like & agree with retired Justice John Paul Stevens’ opinion on all of this. He has given much thought & deliberation, for many years, on this subject. He is a genious! Okay, enough name calling — by everyone. Please stop. The “Journal of patient safety” concluded that 420,000 people a year die from medical errors in our hospitals….Do you feel safer now? Medical errors are just that; errors. The countless mass shootings that occur every day are not errors, they are intentional. It is amazing to me that you have a belief that some people that have died are more dead than others. This must be of great comfort to the family of the 25 year old recently killed by a fallen tree on the Merritt that somehow their son is less dead….Maybe you should consider visiting hospice centers to give comfort to the dying and their families with this view. I visited my parent’s graves in Westport this morning paying my respects as I often do….but this time I looked around at the other graves and wondered who was more dead. Unlike you, I didn’t have an answer, but still felt the sadness of their loss. I’m happy for you that when the time comes for you to lose a loved one, that you will be able to compartmentalize their loss with the fact that they are somehow less dead. I learned some disturbing local news while researching this issue, in my desire to educate myself about guns. The CT State Board of Firearms Permit Examiners conducts hearings to determine whether an applicant for a temporary pistol/revolver carry permit – where said permit application was denied or where an existing permit was revoked – should be issued a permit. Until December 2013, the applicant’s name was disclosed. From January 2014, only the case number is disclosed; the applicant’s privacy is protected. 11) Case No. 10-310-D, Robert Peker, involving the denial of a temporary pistol permit to carry pistols and revolvers. Attorney Mark D. Phillips represented the appellant. A representative for the local Issuing Authority, Chief Alfred Fiore, Westport Police Department, failed to appear. “Robert Peker” was issued a temporary pistol permit in July 2011 because the Westport Police Department failed to appear at the hearing. In October 2012, “Robert Pekar” of Fairfield threatened his ex-girlfriend with a gun. I believe that “Robert Peker” and “Robert Pekar” are the same person. If a representative from the Westport Police attended Robert Peker’s pistol permit appeal hearing, Mr. Peker likely would not have received the permit. 6) Case No. 16-479-D, involving the denial of a temporary pistol permit to carry pistols and revolvers. The appellant appeared on his own behalf. A representative for the Weston Police Department failed to appear. Motion: Board Member Kuck made a motion for the appellant by default due to the local Issuing Authority failing to appear. Motion was seconded by Board Member Johnson, motion passed unanimously. At the least, we must demand that our law enforcement representatives attend these hearings, so that pistol permits are not issued by default. For probably the 1st time in my life I’m glad to have moved from Connecticut. No one mourns, condemns or deplores (yes I actually borrowed a term from Hillary) but with all the marching, all the demonstrations and all the sorrow – that is totally appropriate, understandable and well-founded, I can’t help but notice that the ratio of recrimination directed toward firearms and ammunition is beyond quantification as compared to the killers involved. Sure, go ahead and tax firearms. When it has no effect, which it won’t, knock yourself out trying to get the tax rescinded. At that point, I am sure the masochistic proponents of the tax will bleat that the answer is to raise them.